It’s been a month now since Roberto Alomar and Bert Blyleven were introduced as the two newest members of the National Baseball Hall of Fame. I think both deserve it. I also think Blyleven should have been a Hall of Famer a long time ago, but that’s neither here nor there. He’s finally in and that’s all that matters. Or is it? 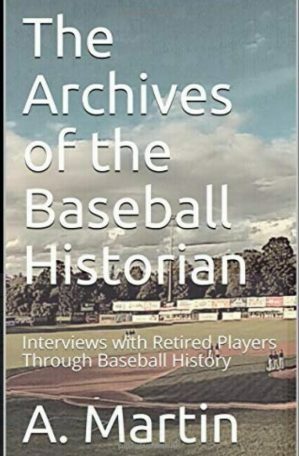 I was asked during Bill Ivie’s “I-70 Baseball Radio” show early last month whether I cared if a guy was a first-ballot Hall of Famer or not. Frankly, I don’t. I’m sure it means something to the first-ballot guys and their families, but off the top of my head, with few exceptions I couldn’t tell you who was inducted on their first try and who wasn’t. 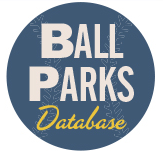 Some great ballplayers appeared on more than one ballot before being elected, including Yogi Berra, Eddie Collins, Joe DiMaggio, Jimmie Foxx, Lou Gehrig, Rogers Hornsby, Nap Lajoie, Eddie Mathews, Mel Ott, Al Simmons and Tris Speaker. 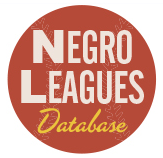 Among pitchers there are Grover Cleveland Alexander, Whitey Ford, Lefty Grove, Carl Hubbell, Fergie Jenkins, Juan Marichal, and Cy Young. That’s one hell of a team you could put together there. On the other hand, the first-ballot team comprises Hank Aaron, Johnny Bench, George Brett, Ty Cobb, Rickey Henderson, Mickey Mantle, Willie Mays, Joe Morgan, Stan Musial, Babe Ruth, Mike Schmidt, Honus Wagner and Ted Williams, and pitchers Steve Carlton, Walter Johnson, Sandy Koufax, Christy Mathewson, Tom Seaver and Warren Spahn. After Bill asked the question it got me thinking about what a first-ballot Hall of Famer looks like vs. a non-first-ballot Hall of Famer and whether there really was a difference, and, if so, how much. Given the two incomplete rosters above, I’d definitely choose the first-ballot guys to represent me on the diamond, but if you forced me to take the non-first-ballot guys, I certainly wouldn’t complain. The first-ballot guys have an obvious edge in counting stats, which makes sense considering they averaged 460 more games during their careers—first-ballot hitters averaged 20.2 years in the bigs vs. 18.3 for non-first-ballot hitters—but the slash stats, average, on-base percentage and slugging, favor the non-first-ballot hitters in two categories, and the difference in OPS is negligible. According to the lineup analysis tool at Baseball Musings, a team of first-ballot hitters would average 6.147 runs per game, while a team of non-first-ballot hitters would average 6.135. Of course, taking the averages of 34 players and comparing them to the averages of 41 does not a ballgame make. Neither does stuffing the 18 best averages into a computer, but that’s all I have at my disposal, so here goes. I took the best players from each position based on OPS and created starting lineups for both teams. Since this is about offense at the moment, I assigned the best hitters who didn’t make his team’s starting lineup to the DH spot. The batting orders are based on the lineup analysis tool’s recommendation for the highest run potential. Wow, that’s even closer than before. Of course neither team has its nine best hitters—Ty Cobb, Willie Mays, Hank Aaron and Frank Robinson are on the first-ballot bench; Hank Greenberg, Harry Heilmann, Tris Speaker, Duke Snider and Al Simmons are riding pine for the non-first-ballot squad—but this isn’t slow pitch softball and defense needs to be accounted for; you can’t just spread a bunch of outfielders and first basemen around the diamond. Having said that, lineups aren’t always constructed based the players’ primary positions; a manager who wants more firepower will maneuver his players as he sees fit, as long as he’s not absolutely killing his team in the field, and sometimes even then. 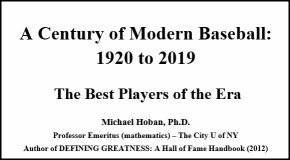 So, with all due respect to McCovey, Musial could be moved to first, where he spent a third of his career, Cobb could go to right and Ruth could DH, leaving Williams in left (Bill James has Ruth graded at a C- and Williams at a C in Win Shares). For the non-first-ballot team, Greenberg could play left instead of Kiner, although it might get ugly out there what with Hank’s .964 fielding percentage and 1.99 range factor, and Foxx could go behind the plate instead of Cochrane, although I’ve chosen not to make that move here. Both teams improved their run-scoring potential but by the same exact amount. One major difference between the two rosters, though, is in Win Shares and Mike Hoban’s CAWS gauge. There’s a large gap between the two rosters that clearly favors the first-ballot team. The 34 first-ballot hitters averaged 461.3 Win Shares and had a CAWS gauge score of 345, similar to that of Joe DiMaggio; the 41 non-first-ballot guys averaged 365 Win Shares and had a CAWS gauge score of 298, identical to that of Dave Winfield. For strategy’s sake and to completely mess with the opponents’ heads, here are the rotations I would choose for the teams, especially in a best-of-seven series. In my opinion Walter Johnson is the greatest pitcher who ever lived, so I’d have to go with him as my Game One starter. Relying almost exclusively on a devastating fastball, “The Big Train” had an easy, effortless side-arm motion that produced high octane gas that left batters shaking their heads and muttering to themselves. I picked Spahn as my number two guy because he was a southpaw with a high leg kick, an assortment of pitches designed to throw off the timing of enemy hitters and the brains to know what to do with them. Early on he was a fastball, curve, change-up guy, but as he aged he added more pitches to his repertoire, including a screwball, slider, palm ball and knuckleball. According to The Neyer/James Guide to Pitchers, Spahn’s screwball was most likely a circle change. Either way, the man had plenty of pitches to work with, not to mention one of the best pick-off moves in baseball history, and would show the opposition something completely different than what they faced in Johnson. I like Mathewson as my number three because he’s a righthander who throws a pitch—fadeaway (screwball)—typically thrown by southpaws that breaks away from lefthanded batters and into righties, opposite of what you’d expect from a righthanded hurler. He also featured a good fastball and drop curve. Then I’d put the series away with Koufax on the hill, blowing hitters away with heat and dropping that nasty curveball of his past flailing bats. Hubbell boasted the game’s best screwball and was actually said to have possessed two versions of it, one that broke down and away from righties and one that dropped abruptly as it neared the plate. He was also one of the game’s great control pitchers and, of course, he proved his mettle against the very best when he fanned five legends in a row in the 1934 All-Star game—Ruth, Gehrig, Foxx, Simmons and Cronin—three of whom batted from the right side of the plate. The two righthanders I selected sported an assortment of pitches and even better control than Hubbell. Alexander insisted that his curve was his best pitch because he could put it wherever he wanted to. It’s also been speculated that he had great success with it because it more closely resembled a slider “at a time when everybody else was throwing bigger and slower curves.” He had a sinking fastball and allegedly threw a screwball later in his career. Young relied on a fastball, curve, change and occasional spitter. According to Young he used four different deliveries and a few different arm angles to fool batters, and Honus Wagner swore that Young’s fastball was superior to that of Johnson and Amos Rusie, ranked number two by Neyer, just behind Johnson and ahead of Grove. I broke down both rosters and calculated the percentage of career Win Shares that came on defense vs. those that came on offense, and not surprisingly, most of the leaders are slick-fielding shortstops and strong-armed catchers. I wasn’t surprised that Ozzie, Rabbit and “Little Louie” topped their respective squad’s list—Smith was the greatest fielding shortstop I’ve ever seen, and Maranville and Aparicio’s reputation with the glove preceded them–but I was a little caught off guard by Carter’s standing, which is a little embarrassing, considering he was one of my favorite players growing up. He was so good with the bat, winning five Silver Slugger Awards, that I forgot what a great defensive player he was. He copped three Gold Gloves and earned an A for his glovework from James. In fact, the lowest grade any of the non-first-ballot guys got among their top nine was a B, awarded to Aparicio and Traynor. Ernie Banks earned a C at shortstop for the first-ballot team, but a B as a first baseman. Also, to no one’s surprise, the players who ranked last in defensive Win Shares % were all slow, heavy-hitting first basemen and outfielders—Gehrig, Heilmann, Greenberg and Harmon Killebrew for the non-first-ballot club; Ruth, McCovey, Williams and Stargell for the first-ballot team. The first-ballot guys had 17.6% of their career Win Shares come from defense, while the non-first-ballot guys had 20.9% of theirs come from their glovework. Mike Lynch is the author of Harry Frazee, Ban Johnson and the Feud That Nearly Destroyed the American League and It Ain€™t So: A Might-Have-Been History of the White Sox in 1919 and Beyond, and the founder of Seamheads.com. You look at the coverage of the 1940s and 1950s HOF voting, there weren’t any headlines reading DIMAGGIO DOESN’T GET IN ON FIRST BALLOT or HORNSBY DENIED HALL. The BBWAA voting procedures were haphazard. Lefty Grove was still getting votes in the balloting as late as 1960, 13 years after he was enshrined. Cy Young wasn’t a first-ballot Hall of Famer for a prosaic reason: There were originally two separate HOF elections in 1936, one for 19th century greats and the other for 20th century greats (the one with Cobb/Ruth/Johnson/Mathewson/Wagner). 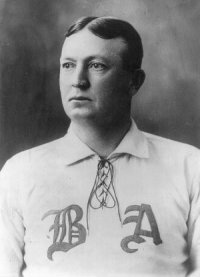 Young’s career spanned 1890 to 1911. He got votes in both elections but not enough in either to qualify that first year. I think the annual BBWAA voting only began in the early 1960s. When both Bob Feller and Jackie Robinson got in their first try in ’62, that got a lot of attention. Same with Ted Williams in ’66 and Stan Musial three years later, and I think that’s when the whole “first-ballot Hall of Famer” phrase started to mean something. I would agree with Andrew. Additionally, I think it’s a little unfair to judge the players from the 2nd Hall class ever as non-first-ballot. Obviously, they weren’t elected on the first ballot. But on the other hand, there was good reason for it. It’s not really until you get past those elections of the 40s that you can even really talk about first- and non-first-ballot. And then the 50s were almost just as bad. On the other hand, though, this WAS a really fun article. So I enjoyed it anyway. And, I have to say, I enjoyed the comparison stats. Closer than I would have thought. I definitely could have gone into more detail about the history of Hall of Fame voting and all the quirks and rules changes that made early voting bizarre by today’s standards (e.g. Lou Gehrig receiving votes in 1936 while he was still playing), but the article was meant to be fun even though I picked on Puckett and I’m glad it’s been received in the spirit in which it was written. I considered setting the line at 1962 with Feller and Robinson when determining first-ballot vs. non-first-ballot, but I decided to go all the way back to 1936 instead. My curiosity was piqued and I went for it. I’m glad you enjoyed it despite the differences in opinion. No offense meant, Mike — I enjoyed the article.